Well, I’ve only been to Pinkberry once, but this seems like it would be perfect decor for them. Love these wreaths too…perfect with just the right style. Yes, I thought so too, Cathy. Just yummy! 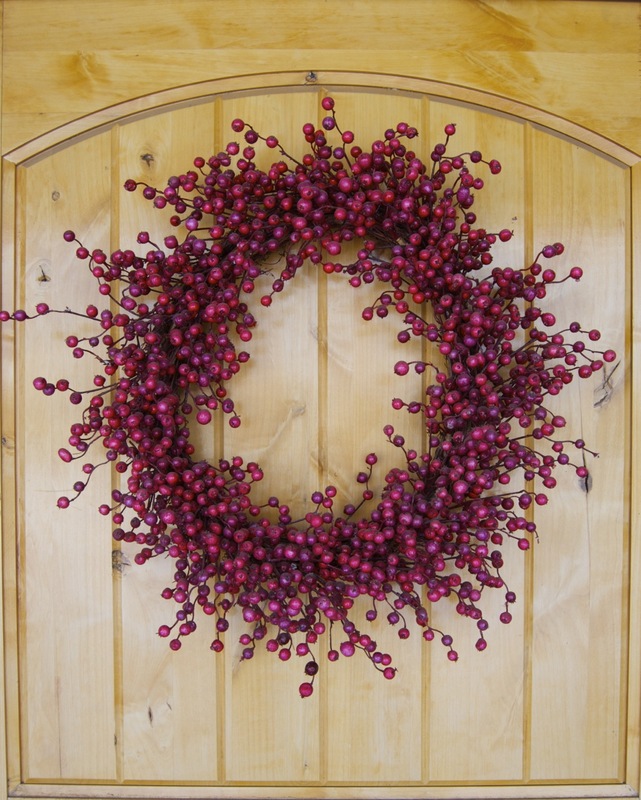 This wreath also looks so nice up against that light colored wood – and the vertical lines in the backdrop add an artsy feel to go with the roundness of the wreath and all those round berries!